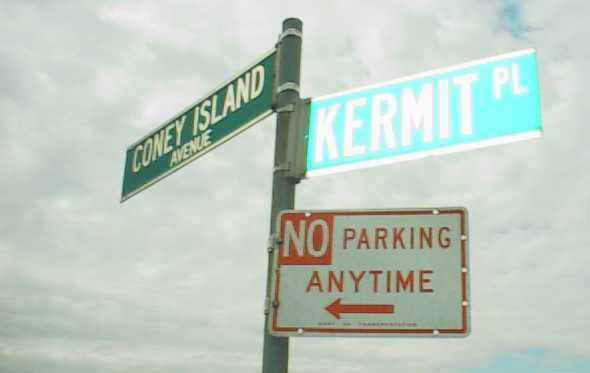 Corner of Kermit Place and Coney Island Avenue in Brooklyn, NYC. Manning Publications, publisher of Kermit 95. Recording for the Blind and Dyslexic, Kermit books for people with print disabilities. Corinthian Internet Services, Kermit 95 distributor for Australia and New Zealand. On-Line Computing Pty Ltd, K95 distributor for Australia. CLICO Centrum Oprogramowania, Sp. z o.o., K95 distributor for Poland, Russia, and Central & Eastern Europe. ThinkCom Ltd., Kermit 95 distributor for Israel. xtdialer and xtkermit from Stewart A. Levin at Stanford University. xtdialer is a graphical tool with pull-down menus for using Kermit to dial up and interact with an automated telephone response system. xtkermit provides a generalized popup menu interface to C-Kermit. Both are based on the Stanford Exploration Project "xtpanel" scripting utility, and use GNU autoconfigure for easy installation. GNU and the Free Software Foundation - gcc, gdb, g(un)zip, EMACS, . . .
UnZIP - "The Third Most Portable Program In the World" (guess what are 1st and 2nd). And ZIP too . . .
XFree86 xterm - xterm with ANSI color and VT220 emulation. Smalltickle - A scripting project involving Smalltalk, Tcl, Python, Perl, and Kermit. The Medcom Group. Makers of a Secure Sockets Relay product that can be used with Kermit 95 to make secure connections to SSL Telnet servers. University of Queensland (Australia), archive for SSL / SSLeay utilities (including a Telnet server), specifications, and documents. The Hamilton C Shell: Programs and filters for Windows 95, Windows NT, and OS/2 that can be used with the "file transfer pipes and filters" features of K95 1.1.12 and later, including a version of the Berkeley UNIX C-Shell and most of its commands and filters, plus many original additions including a DES encryption filter. Meridian Technology Corporation, maker of SuperLAT, LAT drivers for Windows 95 and NT that let Kermit 95 make LAT connections to VMS hosts. InterConnections Inc / Emulex, maker of TES32 for Windows 95, which allows Kermit 95 to make TES connections to VMS hosts. Development of Adaptive Hardware and Software for the Blind. Everson Typography - Unofficial online copies of ISO and other standards. Tim Stark's PDP-10 emulator (released 7 March 2001).